Two tickets to Just Duet! Dueling Pianos at Baymont Inn & Suites in Sturgis! Dinner and dueling pianos on April 13th, half-price for just $45! 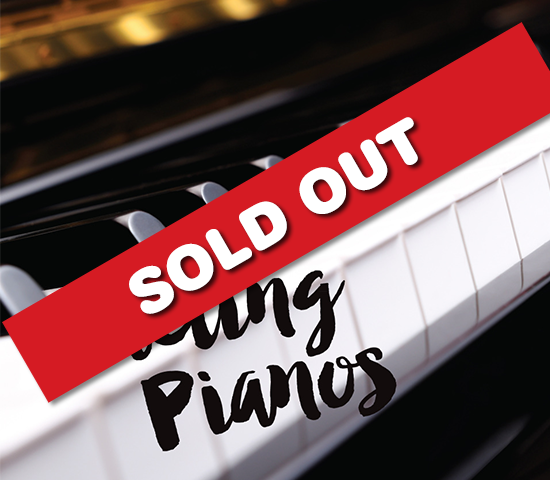 Join us on Saturday, April 13 for an evening of Dueling Pianos and a delicious meal. Just Duet! Dueling Piano Show is a must-see! From classic rock to country, and everything in between, Tim and special guest will provide an evening of sing-along music as these two professional pianists go head-to-head on stage. Request songs you'd like to hear and prepare to be carried away by some of the most beloved music eras of all time. This evening will be full of fun, great food, and excellent entertainment! A delectable 4-course meal will be served, as well as champagne at each table and a full-liquor bar will be available. Come dressed as you like, but do dress-up if you feel comfortable doing so. 5:30PM Cocktail hour will begin. 6:00PM Dinner will be served. Bring your voucher to Baymont Inn & Suites in Sturgis, 2721 Lazelle Street in Sturgis, on Saturday, April 13th. MUST BE 21 OR OLDER TO ATTEND. Good for 2 tickets to "Just Duet!" Dueling Pianos at Baymont Inn & Suites in Sturgis on Saturday, April 13th. Includes dinner and the show. Doors open at 5pm and dinner is served at 6pm.